At this stage of migration, some data has already been moved to Sheets, it is being accessed remotely from VBA using the Execution API as described in Reading and writing Sheets from VBA and now it's time to move some logic from VBA to App Script. 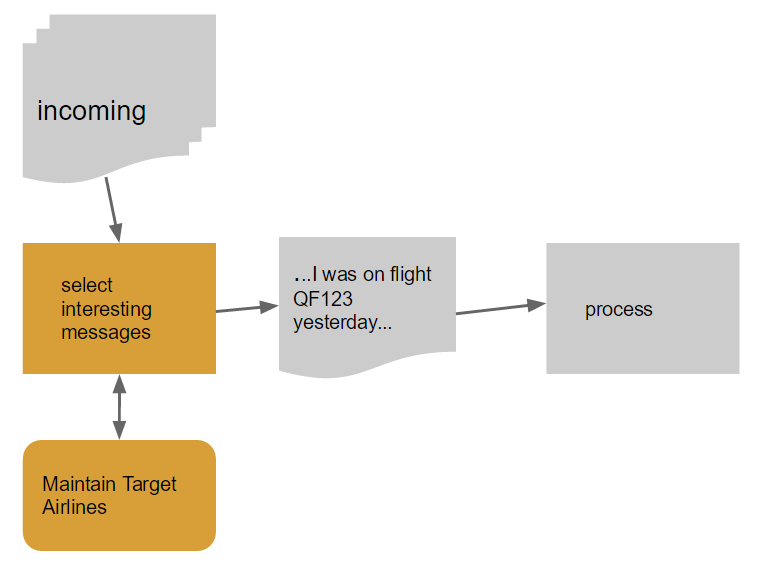 One of the tasks in this imaginary system being used as an example, is to automatically search incoming mail for content containing valid flight numbers from a selected list of airlines, and to process attachments and initiate email conversations when they are detected. Now it’s time to move this logic to Apps Script. Using the execution API, we can migrate the airline data and the selection process immediately to Google Apps, with only minimal changes to the VBA code. Other steps in the process can be gradually migrated one step at a time. This snippet simplifies the problem with some example data extracted from emails. The content is passed to Apps Script for processing, and the result should be equivalent to what the VBA version previously produced. The VBA logic can now be replaced with a delegated call to the execution API. Now both the lookup data and the logic are delegated to Apps Script in the following function. All that’s needed is for VBA to pass over the text to be validated.